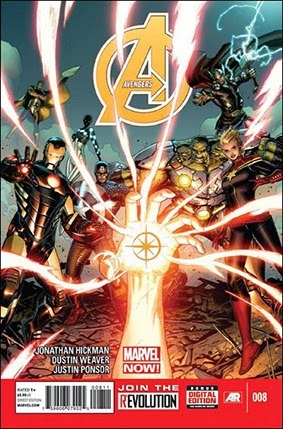 • PLOT SUMMARY: (W) Jonathan Hickman (A/CA) Dustin Weaver "SYSTEM FAILURE" The Avengers face off against the World Breaker. Discover the imminent threat to the Avengers World. Watch as we get our first hints as the hidden connections between the events of Avengers and New Avengers.